One of the top fixtures in the racing calendar is undoubtedly Glorious Goodwood and this week’s festival is set to be a cracker. The opening day proved to be a good one for the Godolphin team with Dutch Connection claiming victory in the Group 2 Lennox Stakes followed by Best Shot later in the day at 11/2. On day 2 there are some very strong contests including the Group 1 Sussex Stakes at 3.10 where The Gurkha is currently the favourite at 15/8 and the Molecomb Stakes at 3.45 which sees The Last Lion head the betting at 3/1. Betting Bias – a free tipping website with a record of over 1400 points profit since being established in 2011. So grab your panama hat and glass of Pimms and enjoy another fantastic week of racing at Goodwood. Plus there is also the Galway festival this week in Ireland, so plenty of action to get stuck into. Get Your Free Royal Ascot Tips! 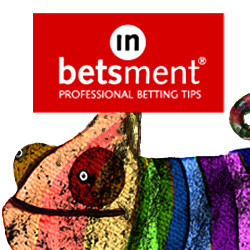 Get Your Free Derby Tips! Best Tips for Betting at the 2017 Glorious Goodwood Get Your Free Cheltenham Tips Here!